There are two options provided in this software which allows users to recover the data from the Exchange EDB file. First, recover the Exchange Server private store database file(mailboxes) and second, recover the Exchange Server public store database file(public store file). 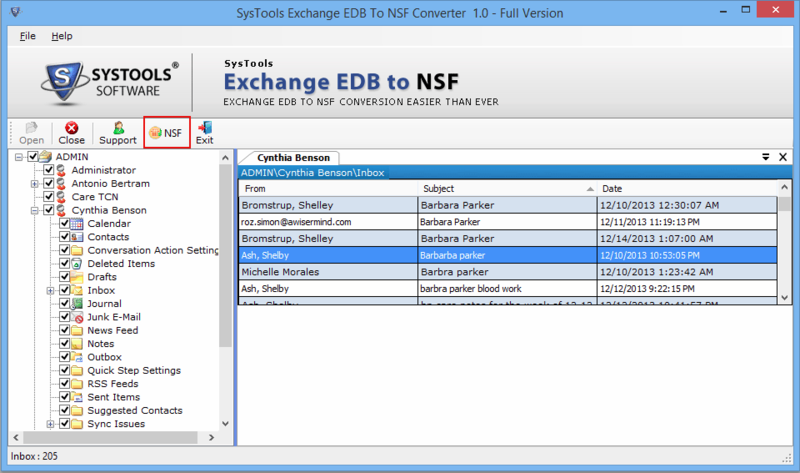 By the help of this software, the users can export all the emails contained in the MS Exchange EDB mailboxes to NSF file format. 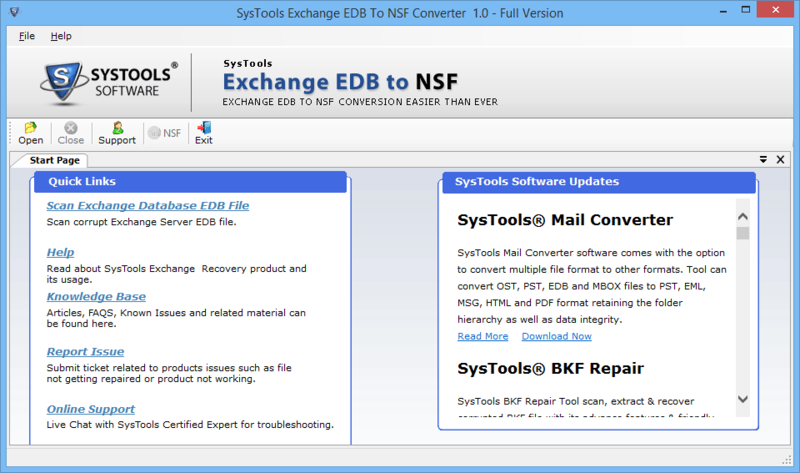 The tool creates the single NSF file for each respective folder which is present in the Exchange EDB mailboxes. This software easily works with the corrupted Exchange EDB file and allows to recover the data from that file. By default, if the software finds out that the Exchange EDB file is corrupted it will automatically perform the quick scanning of the selected EDB file. In case there is the high corruption in EDB file user should check the option to perform the advance scanning. 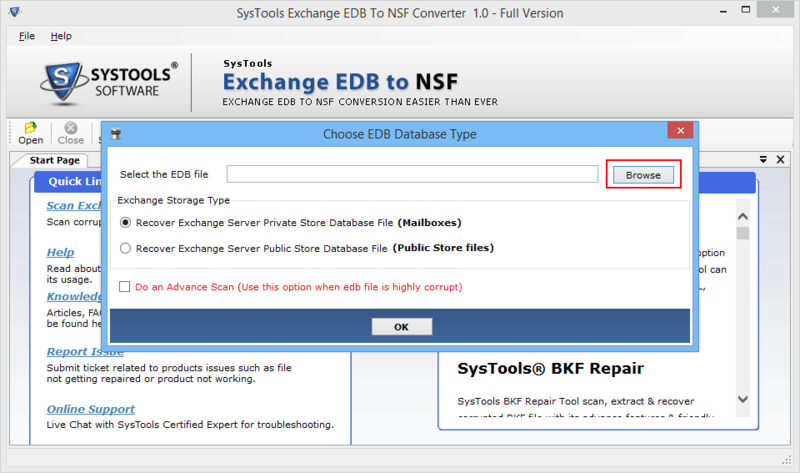 While users are selecting to export the data from EDB to NSF format there is an option to check or uncheck the respective mailbox items. By this users can migrate the selected items from the Microsoft Exchange EDB mailboxes to Lotus Notes file format. This option is very vital when the users need only selected and important data from large database files. 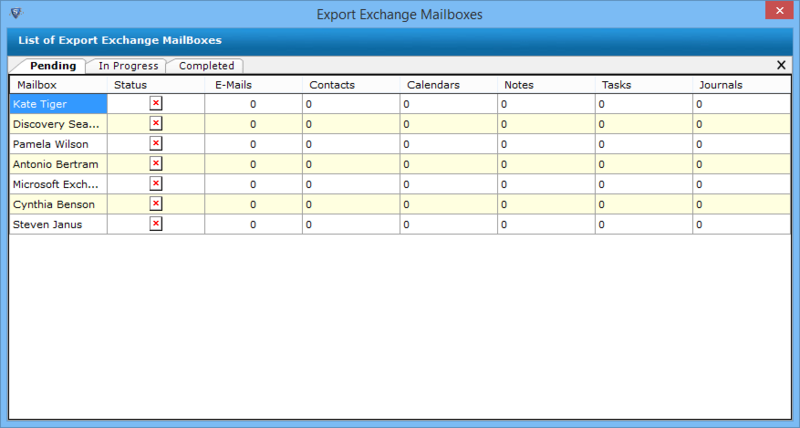 Once the export process has been completed the software will show the user a list of exported Exchange mailboxes which are included in the Exchange EDB database file. Also, it shows the current status which is associated with the respective mailboxes. Plus, it shows the list of complete details of mailbox like name, emails, contacts, calendars, notes etc. 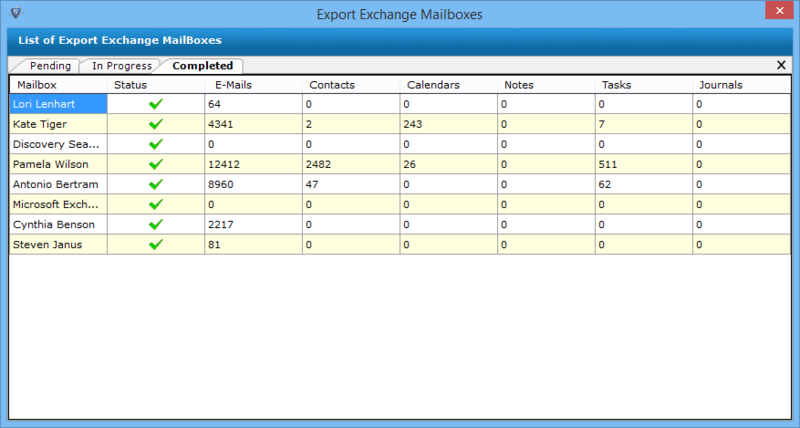 After the successful conversion of exchange mailbox to lotus notes nsf format. Software generates the conversion process report that includes list of all converted files and aborted files with their links. It stores entire data in .csv format, So user can easily view list of converted edb file items along with their links. Will this software export contacts and calendars from Exchange EDB to NSF? 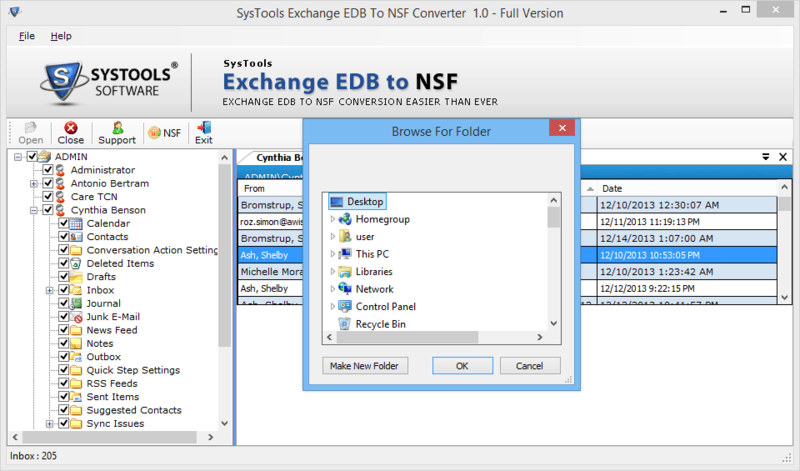 Yes, this software exports all the contacts and calendars and other data items which are contained in the Exchange EDB file to NSF file format easily. Can this software convert multiple mailboxes contained in EDB file in batch? Yes, you can convert single as well as multiple mailboxes from the Exchange EDB file according to the choice of the mailboxes you will be selecting to export. Does this software support batch export of Exchange EDB file? No, the software only exports one EDB file at a time and batch export of Exchange EDB file is not supported by this software. Is any technical skill required to operate the software? No, The software comes with the single panel user interface which makes it easy for the users to navigate and click on the commands at the time of using this particular software. The single panel user interface really helps in making this software easy to use. 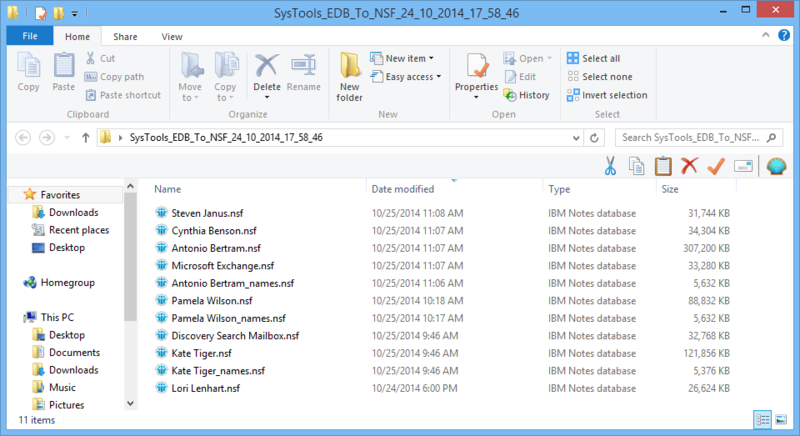 Is there any file size limitation while Exporting EDB file to NSF Format? No, you can export any file of any size and have any number of mailboxes in it. It successfully exports it to NSF file format. 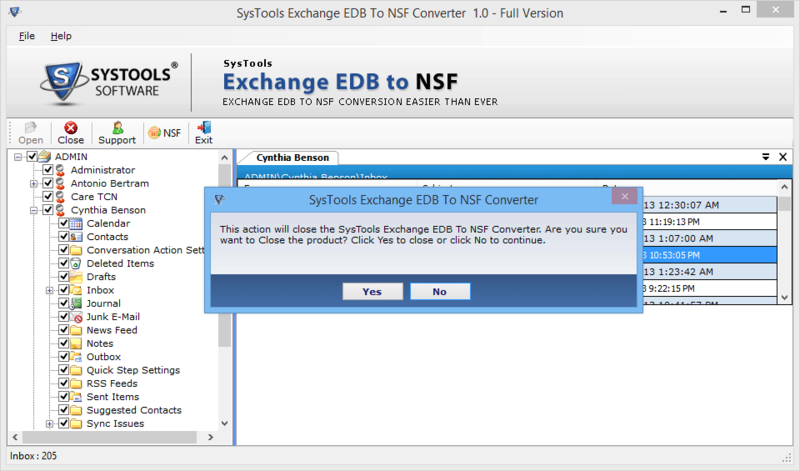 Download, Install and run the EDB to NSF converter software. 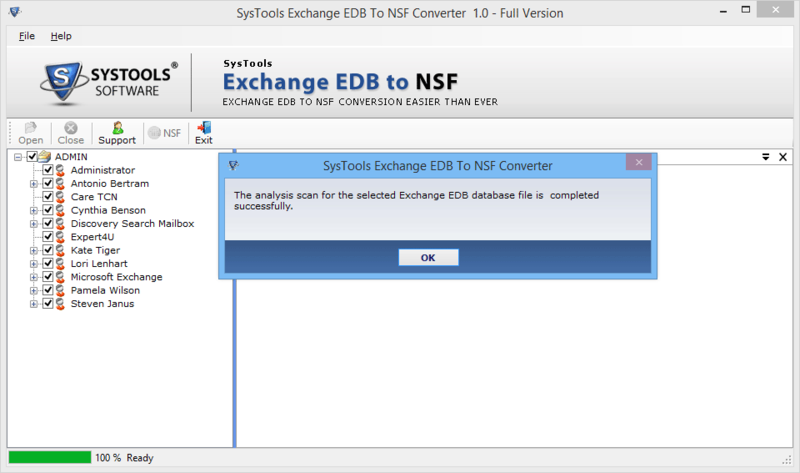 Now click on the Open option to select the desired Exchange EDB file. After that go to the option to select the EDB database type and then click on the Browse button for locating the EDB mailbox from the system. Now select the EDB file and click on Open and get the path of the file provided in EDB file checkbox. Then, select any one option from the two options. First, Recover Exchange server Private storage database files (Mailboxes) and second, Recover Exchange server public store database file (Public Store Files). After that the EDB files will be scanned for Exchange to Lotus Notes export and once the message of completion of the successful process is received click on the OK option. After that preview the scanned EDB database file and select the data needed with the check option. To start export of EDB file to NSF click on the NSF button. Now browse for the destination folder to save the resultant NSF file at the desirable location and then click OK.
After that, software will list all exported files as shown below. Now the list of exported lotus notes file will be shown. The details include number of emails, contacts, calendars, etc. are completed for the particular mailboxes in EDB file. After that browse to the location where the exported file is saved. For ending of export process close the application window and accept the warning message by selecting Yes option. "When the I made the decision of using the dual email platform was announced, one as Exchange- Outlook and other as IBM Lotus Notes was taken, the challenge that was faced by us was to get the data synchronized in Lotus Notes which already existed on the Exchange server. 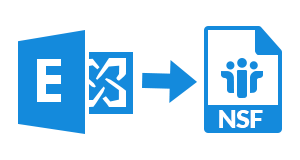 We are thankful for Exchange EDB to NSF tool, which makes our effort of Exchange to Lotus Notes export this much simplified with perfection." "IBM Lotus Notes is the best and highly rated business collaboration application. And we had planned on switching to it from Exchange but without losing any of the data. Exchange EDB to NSF tool really helped in implementing the plan to procedure successfully; hugely thankful to the engineering team."